Love fresh flower arrangements for your own home or to share? Our Carefree Cutting Garden is a self-contained garden that will fill a 4'x6' space. 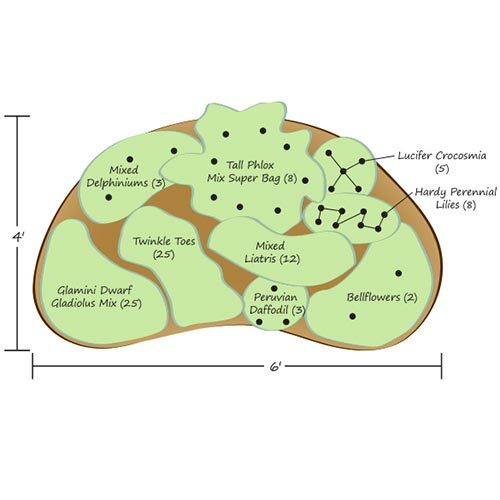 The garden includes perennials that bloom from late spring to late summer and produce flowers on sturdy stems that are perfect for cutting. This 91-plant garden will also attract butterflies and pollinators. Easy to grow and fast growing, the Carefree Cutting Garden is perfect for the beginning gardener or any gardener who wants to take the guesswork out of gardening. The Carefree Cutting Garden also makes a great gift. 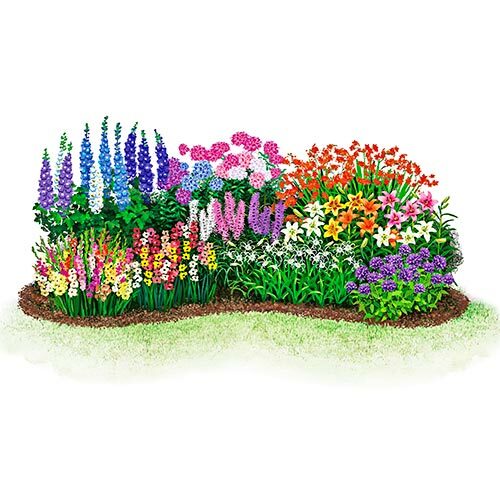 Includes: 8 Tall Phlox, Mixed Liatris (12 plants), 25 Twinkle Toes, 5 Lucifer Crocosmia, 8 Hardy Perennial Lilies, 2 Bellflowers, 3 Mixed Delphiniums, Glamini Dwarf Gladiolus Mix (25 plants) and 3 Peruvian Daffodils.